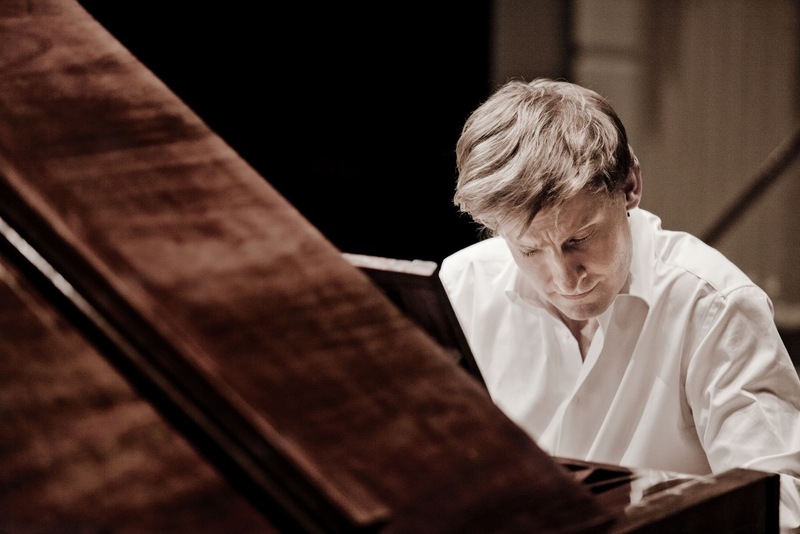 Internationally known performer Kristian Bezuidenhout may change your view of Mozart. Kristian Bezuidenhout. Photo by Marco Borggreve. Early Music Now explores “The World of the Fortepiano” this Saturday evening at Wisconsin Lutheran College. The group’s concerts usually feature an ensemble devoted to researching and reconstructing an esoteric moment nearly lost to Western music history. I have found these historical recreations to be satisfying and enlightening. But this Saturday, the material will be familiar, but an instrument will be the focus. Or rather, Kristian Bezuidenhout, an internationally renowned interpreter of the fortepiano, will provide evidence that we have not heard the keyboard works of Wolfgang Amadeus Mozart as he would have prepared them. A fortepiano strikes the strings with a hammer, unlike the plucking action of an harpsichord. Developed in the early 1700’s, the fortepiano evolved through a number of incremental inventions until advanced designs culminated in the grand piano in the early 1800’s. Mozart, George Frideric Handel and early Ludwig van Beethoven works were composed on a fortepiano. 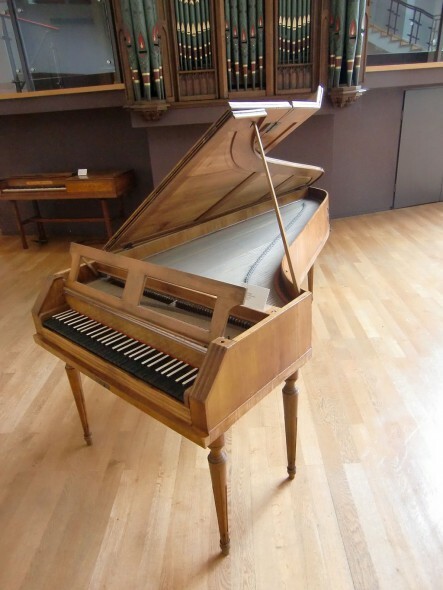 Fortepiano by Johann Andreas Stein (Augsburg, 1775). Photo by Gerard Janot. A London Times critic observed that “Bezuidenhout is a prince of the fortepiano, making it sing in melodic phrases as no other practitioner of this intractable instrument has done in my experience.” And Patrick Rucker wrote for Fanfare Magazine, “Bezuidenhout’s approach to Mozart is so captivating, his playing so natural, it’s tempting to forget that only artistic temperaments of the fiercest integrity are capable of such exalted music-making. ” A native of South Africa, currently resident in London, Bezuidenhout will be making a rare appearance in Milwaukee. Bezuidenhout will play a complete suite which Mozart organized in the style of baroque suites – his Suite in C Major, K.399. Few were still aware of J.S. Bach‘s work at this time, but Mozart joined a few enthusiastic supporters to study his works. Mozart’s suite appears to have been an exercise exploring Bach’s style. Mozart did not finish a last movement, the Sarabande, which has been completed recently by Robert D. Levin. Bezuidenhout will also play two works by Carl Philipp Emanuel Bach: Rondo in C Minor, Wq.59/4 and Sonata in E Minor, Wq.59/1. The concert will be held November 21 at 7:30 P.M. at the Center for Arts and Performance (8815 W Wisconsin Ave) at Wisconsin Lutheran College. A pre-talk by Bezuidenhout will precede the concert at 6:30 P.M. Tickets may be purchased online or by calling (414) 225-3113. Available tickets range from $29/$46 adults and $10/$15 students. (In this Wisconsin Lutheran College venue, even the “cheap” seats will sound great.) Complete program notes are available online as well. The next Early Music Now concert will be held at the Basilica of St. Josephat at 7:30 P.M. December 19. Anonymous 4, women’s a Capella quartet, will present an anthology of their most-loved songs of Christmas and “other ancient prophecies and miraculous events.” On a farewell tour, this will be their sixth appearance with Early Music Now.